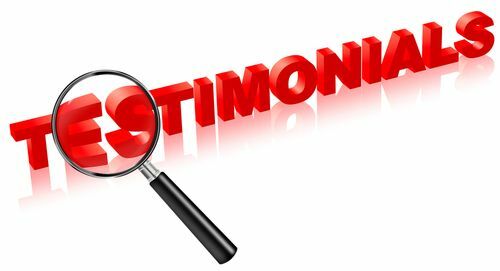 Using client testimonials from satisfied customers can serve as your best form of advertising since it shows a genuine reaction from a real person who has used your company’s offerings. Testimonials create social links between customers: Testimonials fulfill a human need to interact with and learn from others. Further, a testimonial improves trust and confidence in your offerings by showing that a real person has used the product or service. Use testimonials liberally: Don’t restrict testimonials to social media or websites. Use testimonials in multiple channels where they’ll be effective, such as product brochures, print advertisements, direct mail promotions, videos and articles. Sometimes testimonials by themselves are enough: A large number of testimonials can be effective by themselves. A page with dozens or hundreds of testimonials presents a continuing stream of positive comments and will show that many satisfied customers have been willing to submit their thoughts and reactions. Don’t be afraid to ask for testimonials: Ask clients for testimonials at important points, such as after they’ve made a product choice or after the service has been provided. Frequent requests will result in many testimonials, giving you a broad selection to choose from. Be sure to ask customers for their permission to use their testimonials and get a written acknowledgement of their agreement. Testimonials are most effective when they address potential customer objections. Make sure they briefly but clearly describe the problem solved or the benefit provided by your product or service. What did you think about our product before using it? Has using the product changed the way you think about it? What do you like most about our product? What did you gain from using our product? Would you recommend our product to your friends and colleagues? How could you implement or improve a program of using client testimonials to improve sales and boost your business reputation? Pingback: 5 Benefits of Tracking Customer Satisfaction With Surveys | Continuity Programs Inc.